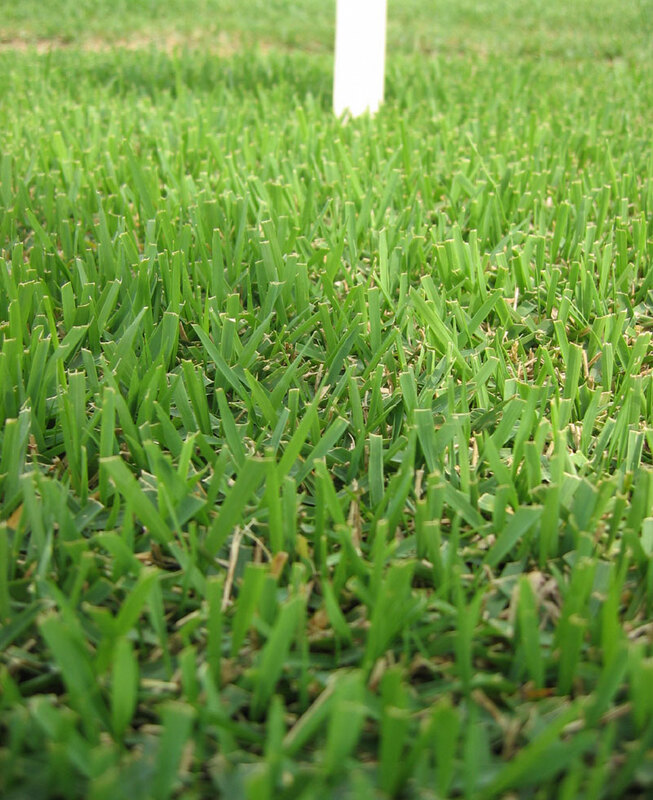 Zoysia is a fine-textured, dark green lawn turf grass, suitable for growing during warm seasons. 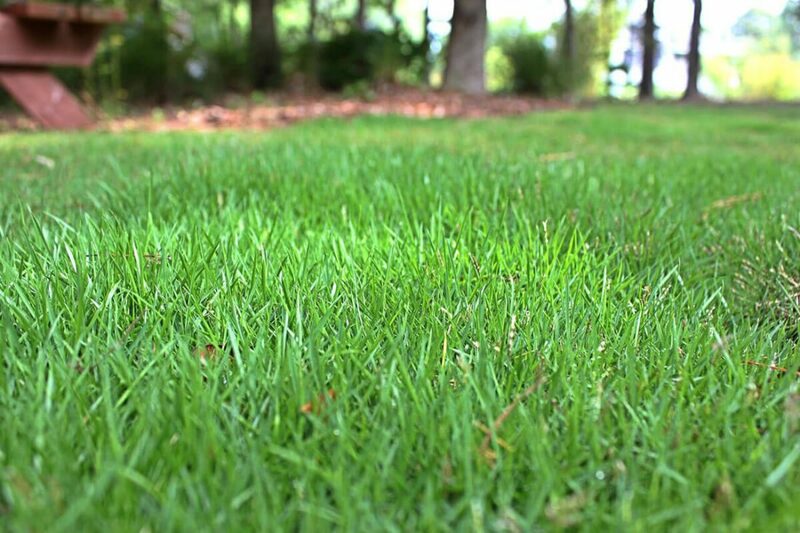 Although the growth rate of the grass is slow, it forms a thick cover over your lawn under ideal conditions. 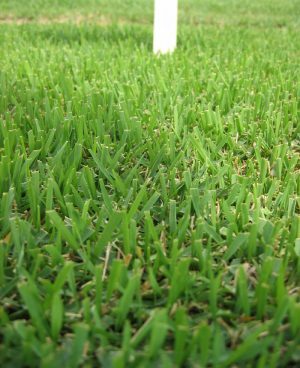 Since zoysia turns dormant, going brown in a cold weather, it is suitable only for areas where it stays warm throughout the year. Till the soil (with a tiller if possible) to a depth of 6 to 8 inches and level the lawn area, removing sticks, rocks, stones, or any existing vegetation. Push the soil lower from any elevated areas to slope away the lawn from your house and build proper drainage. Then water the whole area to moisten the soil. Fertilizer treatment prior to planting is necessary to adjust the pH of your soil (you need to analyze the soil if you do not already know its pH). Ideally, 15 pounds of any 10-10-10 or 8-8-8 fertilizer per 10,000 square feet should give effective results. 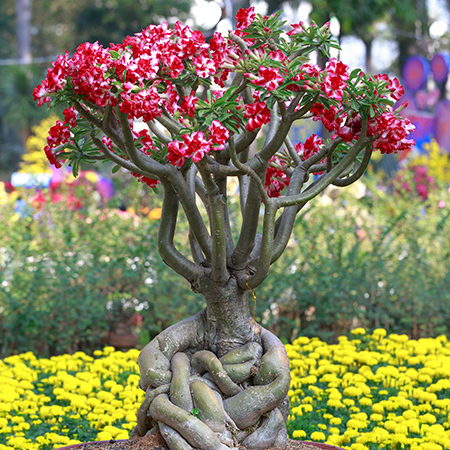 It can be grown from seed, sod, or plug and seeds depending on the size and structure of your yard. 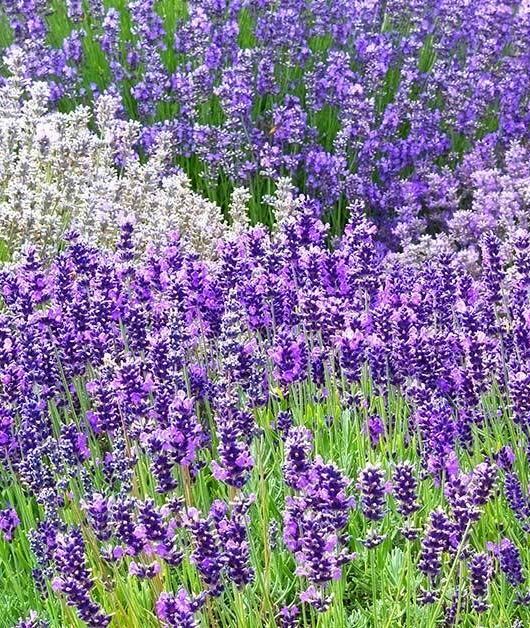 When to Plant: The recommended period for planting is from mid- to late spring when the soil temperature reaches 60° F to 70° F.
Seed the newly prepared bed uniformly with a spreader in such a way that the seeds are pressed tightly into the soil, leaving no air pockets. Dig holes a bit larger than the grass plugs, maintaining a gap of at least 12 inches between them. 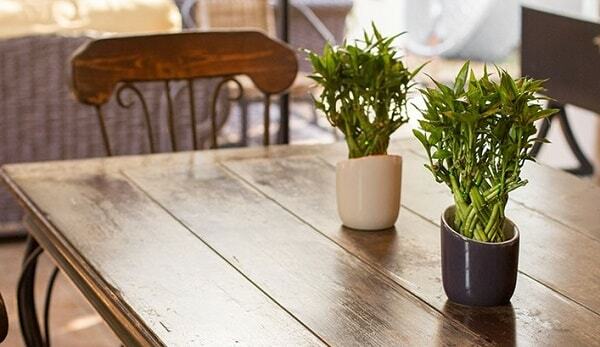 Make them in a checkerboard pattern to cover your entire yard. Put the plugs inside and fill in around the edges of the holes with soil. Place the sod pieces end-to-end tightly along the selected lawn area, avoiding gaps or overlaps. Stagger the pieces in the adjacent rows to avoid lining up of seams. Use a sharp knife or hatchet to trim the corners of the sods for a proper fit. Roll the area to let the sods penetrate into the soil without any air gaps. The best time to transplant zoysia plugs and sods is from late spring to early summer. 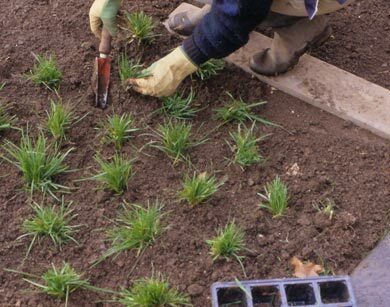 Using a plugger, remove a piece of sod or plug from a healthy lawn area and lay it over the ground you have selected for transplanting. Watering: Water the area, daily, at least two to three times, to keep the top two inches of the soil damp for the first 10-12 days after planting. Once the grass starts growing, reduce the times you water per day as you just need to keep the top one inch of the soil moist. Based on the amount of rainfall received by your lawn, you can adjust the watering – areas receiving 1/2 inch of rain per week will need an additional 1/2 inch of water daily. Mowing: Trim your zoysia grass once a week after it grows about 2 to 4 inches tall. However, within the first year of planting, the minimum mowing height should be no less than 3 inches. Ideally, a single mowing should reduce the grass height by only the 1/3rd of what it was before. Fertilizing: Add about 1/2 to 1 pound of good-quality nitrogen-based fertilizer like Scotts Turf Builder per 1000 square feet, either four times, or approximately once every six weeks from late spring through autumn. Uncontrolled growth: Under favorable growth conditions, zoysia may invade neighboring plant and flower bed areas. Installing aluminum or plastic barriers about 6 inches deep, and 2 to 3 inches above the ground around your turf might help to contain it within boundaries. Growth of thatch: Build-up of dead leaves and roots at the base of grass are called thatch, and it prevents the grass from receiving enough of oxygen, water, and fertilizer, affecting its growth. Burning the thatch layer along with the grass is an effective method to get rid of it. 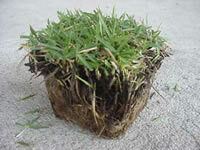 Zoysia, being quite hardy, grows back again once the conditions are suitable. Weed growth: Apart from proper growing practice and maintenance, application of pre-emergent herbicides may prevent growth of weeds like crabgrass, clover, and Bermuda grass. Worms: When zoysia grass gets infected with nematodes, they turn yellow and fail to grow well. 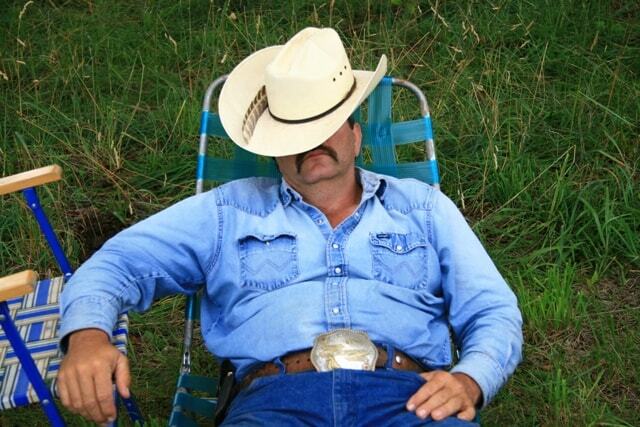 To curb this problem, clean all the lawn equipment before using as well as water the grass on a regular basis. Pet damage: During the first year of growth, be careful when letting your pets out in your backyard or garden as constant movement around the lawn may damage your grass as a result of high traffic, urine discharge and digging holes. However, once the grass gets established, such risks reduce considerably. 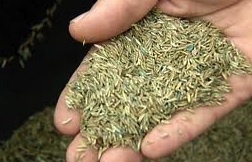 The cost of zoysia grass sod per square foot ranges between $0.45 and $0.50, while the seeds cost around $45 per pound.